Force-placed Hazard/Flood protection provides all-risk protection for tracking insurance for hazard and/or flood when a borrower lacks adequate insurance on a mortgaged property. 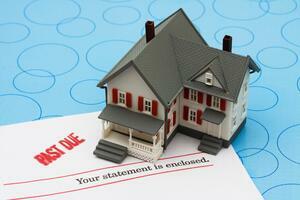 REOprotection provides liability coverage on properties owned by financial institutions. Hazard Protection provides exposure coverage on residential and commercial properties that are owner occupied, non-owner occupied, or vacant. This coverage also includes bank-owned properties and mobile homes. Residential properties are protected against all risks unless specifically excluded. Commercial properties can be written as Special Form or Named Peril, depending on application information. Contents coverage is also available upon request. Eliminates negative borrower contacts as most renewals or reinstatements will be received within the 60 day window before notification is required. Reduces false force-placement and unnecessary debits/credits of premium to loan accounts as force-placed requests are not required until the 90th day from the date of cancellation. REO/Foreclosure and REO Liability Protection is also available with the mortgage protection program to cover properties owned by financial institutions.